This page is for the original version. 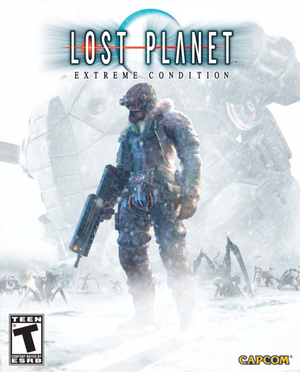 For the Colonies Edition, see Lost Planet: Extreme Condition Colonies Edition. Change the Resolution= line to your desired resolution. No support for remapping thumb mouse buttons. Set from PDA menu. 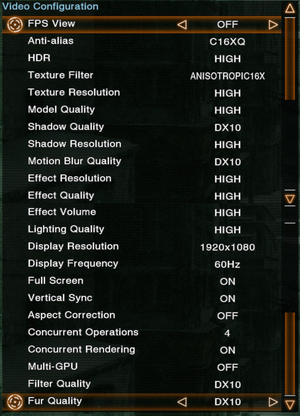 See Mouse sensitivity. Three presets only. Set from PDA menu. Change MouseBaseSpeed=2.000000 to desired value. Multiplayer is not compatible with Lost Planet: Extreme Condition Colonies Edition. ↑ 1.0 1.1 File/folder structure within this directory reflects the path(s) listed for Windows and/or Steam game data (use Wine regedit to access Windows registry paths). Games with Steam Cloud support may store data in ~/.steam/steam/userdata/<user-id>/6510/ in addition to or instead of this directory. The app ID (6510) may differ in some cases. Treat backslashes as forward slashes. See the glossary page for details.